I have a theory about how Diana may have caught a ride during her Cuba-Florida crossing. Over the next month or so, I’ll make a case in support of that theory. Before that happens, though, we need to catch up on some currents. From “SW Fla. group helps swimmer reach goal,” by Mike Braun, The News-Press, 5 Sep 2013. If you’ve seen my recent Facebook posts, then you already know about the article. Please pardon the repetition. By the time of the call on the 10th, Nyad’s crew had gotten their stories and their currents straight. But not so, apparently, by the 5th. Diana surprised me again. No new facts, but the brazenness with which she presents a favorite fable will take your breath away. 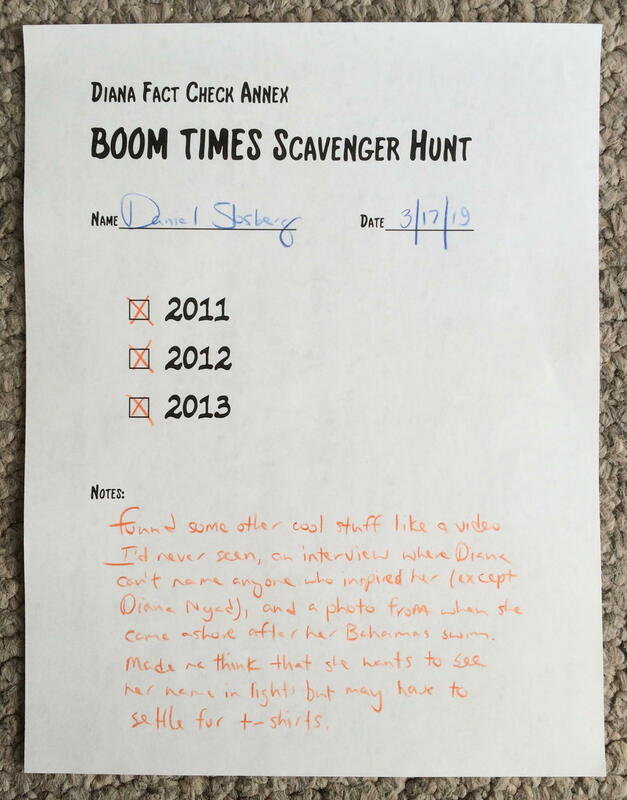 This weekend, the DN Annex organized a scavenger hunt. We fanned out accross the internet in search of images that would support or refute my theory of how Diana Nyad may have cheated. More on that theory in a later post. For now, I want to say—with all due humility—that I won big time! And not only did I win; in the process of achieving victory, I came across some gems unrelated to the boom quest.